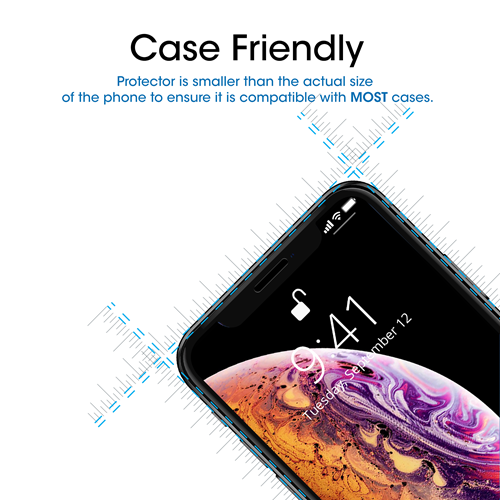 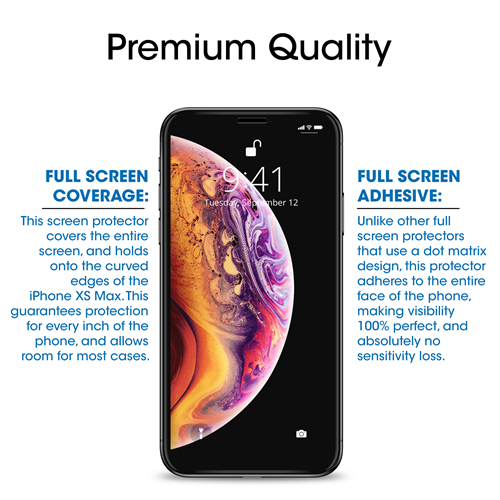 Specifically designed for iPhone XS Max 6.5", only .33mm thin to maximize sensitivity and protection. 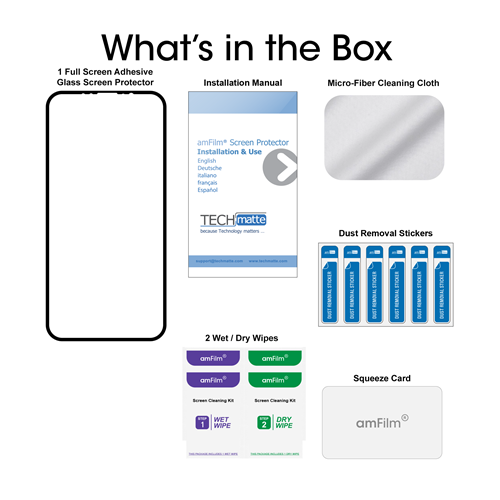 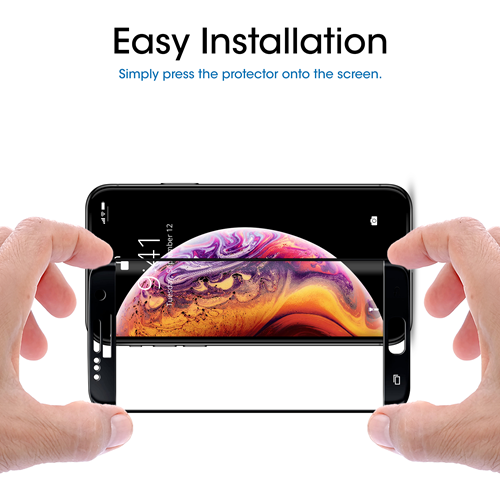 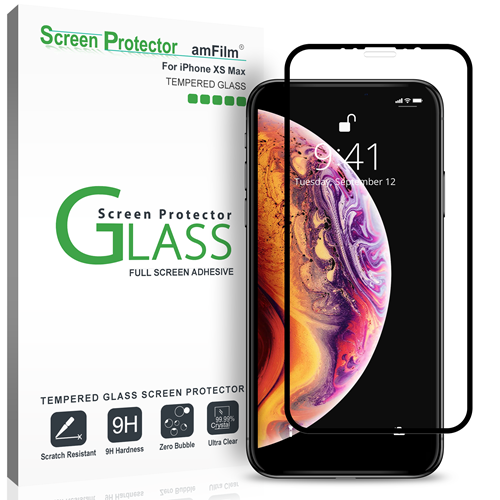 This is a Glass Screen Protector with a Black border around the edges, and with full screen adhesive. 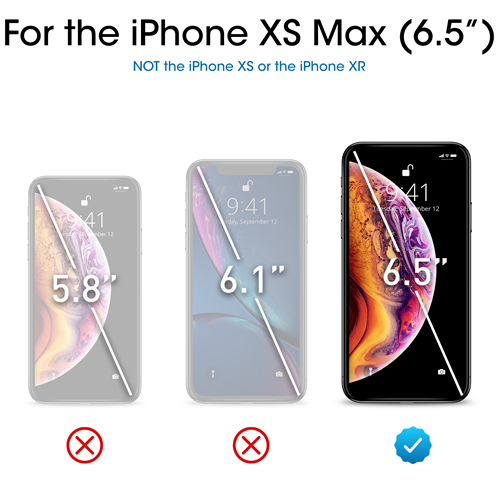 That means no dot matrix, no rainbow effect, and no sensitivity loss!